There's a scene in 1937's 'Topper' at 44 minutes in, where Cosmo Topper has been talked into taking a drink by the ghost of his friend, George Kerby. Topper has been a hen-pecked, stuffy little banker all his life, never allowing himself the pleasure of releasing his wild side, but it's there, and always has been, behind the small, balding facade. The Kerbys, recently deceased, have made it their mission to turn Topper into a fun-loving party animal, and it's in this scene that their plan takes effect. A few drinks in, and Topper's starting to sway on his chair. "Do you feel like dancing?" he suddenly asks. "Well, George? Dancing, singing. Tra-la-la, tra-la-la, and a hey-nonny-nonny and a woo...". He tails off, slightly self-consciously, and then he's Cosmo Topper, banker again; pencil moustache and knee-braces. Within ten minutes, he's absolutely stinko, being carried by invisible hands through the lobby of a posh hotel. His performance in this scene is stupendous. He genuinely looks as though he's going to fall on his face at any moment. It's difficult to imagine anyone else playing Cosmo Topper as well as Roland Young. If anything was his stock in trade, it was that he constantly defied your expectations. A short, meek Englishman, with the countenance of a bank manager, and the droll, stiff accent of a headmaster, he first came to the attention of Hollywood with his eclectic turns on Broadway, taking in Ibsen and Chekhov on the way to farcical roles in comedies written for him by his mother-in-law, the playwright and composer, Clare Kummer. In 1918, he became a full-fledged American, becoming a U.S. citizen. Indeed, he went on to prove his allegiance to his new home immediately by fighting for the U.S. Army in the first World War. When he returned, he immediately threw himself back into acting, alternating between Broadway and London's West End, and by the early twenties, was a well-loved star of the stage. It wasn't until 1922, at the age of 35, that Young made his film debut in one of the first movie versions of 'Sherlock Holmes'. Young played Watson to John Barrymore's Holmes (it was also the film debut of William Powell) and the film was well received, but Young still hadn't quite landed. In 1929 he made his first "talkie" appearance as Lord Montague in Lionel Barrymore's 'The Unholy Night' which also featured Boris Karloff, and in 1935 he appeared as the villainous Uriah Heap in 'David Copperfield'. It was the year later, when he landed the starring role in Alexander Korda's version of H.G. 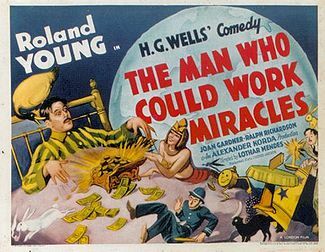 Wells' 'The Man Who Could Work Miracles', that his film career finally began to fizz. As the timid Mr George Fotheringaye, who has the powers of a God bestowed upon him by experimenting angels, he revealed a knack for restrained comedy and gentle sensitivity. By the film's end, Fotheringaye has turned from a hunched, mumbling mouse, into a confused dictator, possessing the power to create his idea of Utopia, but not reckoning on the details. The following year saw his greatest success in Hal Roach's 'Topper'. Young played Cosmo Topper, a conservative, put-upon banker, bullied by everyone (even his butler) and tasked with overseeing the finances of the extravagantly wealthy George and Marion Kerby, played by Cary Grant and Constance Bennett. To Topper, the Kerby's represent the ideal that he so winsomely craves; the will to enjoy life in their own way. Marion, ever the flirt, constantly tries to tease Topper's wild side into the open, but thanks to a rigid, pre-determined home life and the weight of his responsibilities, Topper never succumbs. That is until the Kerbys are killed in a car crash and find themselves unable to move on to the afterlife until they've completed a selfless good deed. Deciding that there can be no better deed to perform than to transform the sober Topper from a mouse into a lion, they use their newfound supernatural powers to wreak havoc on Topper's world. Though ostensibly a supporting role, Young outshone everyone in the film, even the magnetic Cary Grant. Even in the film's later stages, his dignity hanging by a thread, he never loses his stoic countenance, and it's this quality that provides the brightest moments of comedy. There was something so natural, and so inherently funny about watching this old-fashioned prig getting drunk and asking permission to dance, before falling asleep on his face. The performance earned Young an Academy Award nomination for Best Supporting Actor (losing to Jospeh Schildkraut). 'Topper' was such a hit that it was followed by two sequels, 'Topper Takes a Trip' and 'Topper Returns'. His wife in the Topper films was played by the original Glinda, Billie Burke, who spoke kindly of Young, calling him "dry, and always fun to work with". They starred together again in the comedy, 'The Young in Heart', as the elder members of a family of con-artists. In 1940, he appeared as bottom-pinching Uncle Willy in the screwball classic, 'The Philadelphia Story', again with Cary Grant; his wry pursuit of Ruth Hussey's derriere just one of the highlights of the movie. He continued to appear during the 40's, turning in marvellous performances not only on film, but also in radio, (he had his own show in 1945) and on early television plays. His last great movie performance came in the dazzlingly wonderful adaptation of Agatha Christie's 'And Then There Were None' in 1945. Playing the cunning and aloof Blore, his character meets a memorable, if rather grisly end under a piece of toppled masonry. There were a few more supporting roles, notably as a villain against Bob Hope in 1949's 'The Great Lover', but Young had begun to slow down. He moved to New York, and took a couple of television roles, but slowly he began to relax. 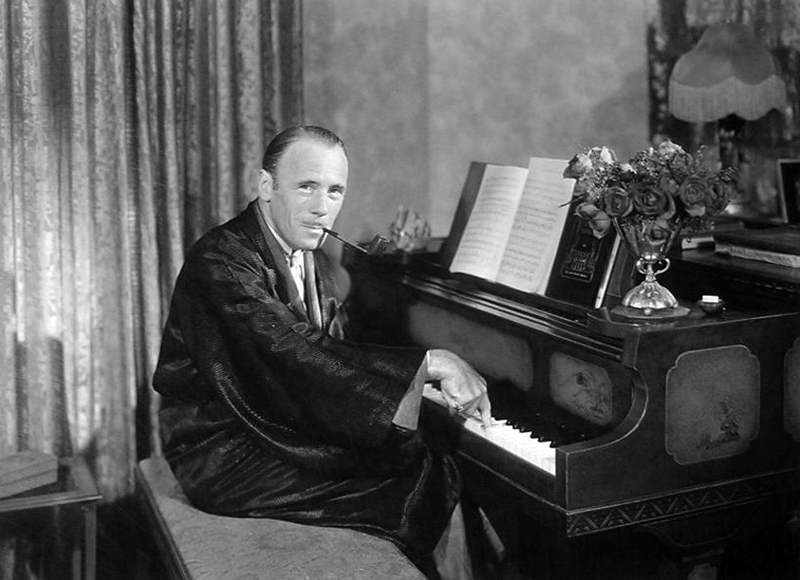 He died of natural causes in his apartment on June 5th, 1953. He was 65 years old. Roland Young is barely mentioned by today's film aficionados, yet his unforgettable performances always brought an old-world charm to any movie. Always the starchy, put-upon little man at the beginning who blossoms into the fun-loving man's-man by the end, he's a reminder to today's generation that movie careers didn't always start and finish early in life. His gentlemanly professionalism made him one of the most popular and well-loved stars of the 30's and 40's, and he fully deserves his place here, amongst the bygone heroes.